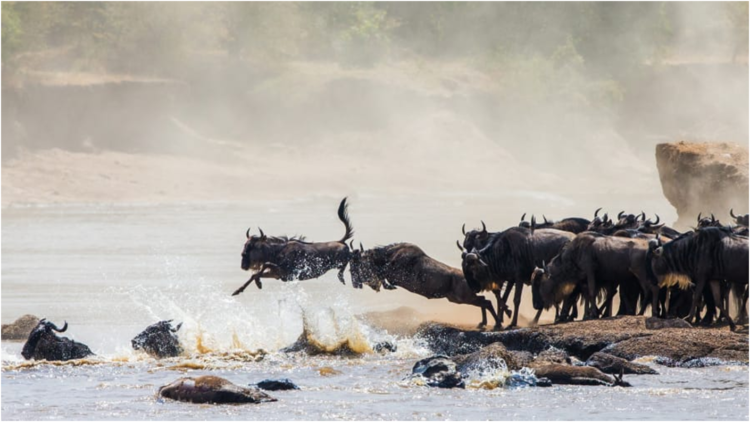 This photo captures the intensity and sheer beauty of the great migration. It is important to note that the migration is actually a year-round and ongoing event as the animals move from Tanzania’s Ngorongoro Reserve in January, up through the Serengeti around June and hit Kenya’s Masai Mara around September, before journeying south again. 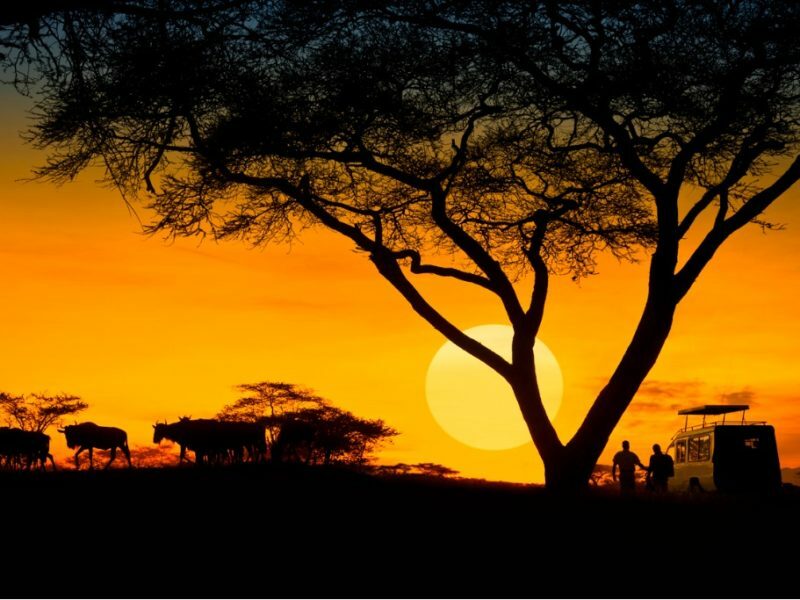 Really it’s a yearlong search for food, water and safety and there are many opportunities for safari-goers to witness the beauty and drama of the herds along the way. 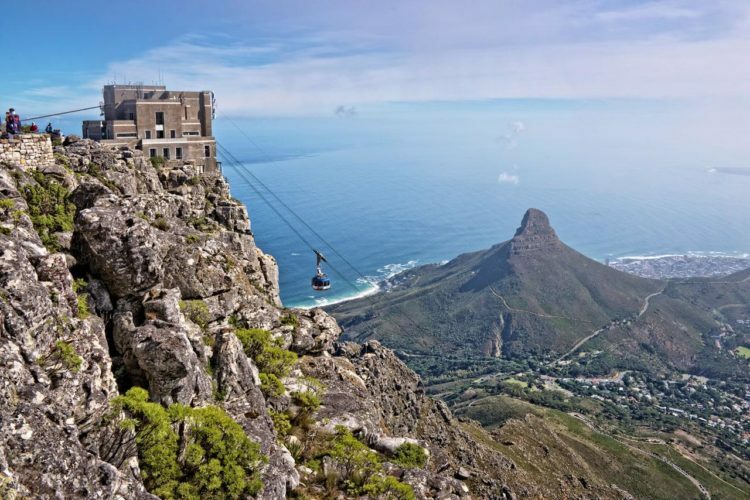 This is one of the world’s most photogenic spots in the world as it looms over Cape Town. Along with the peaks of Signal Hill, Devil’s Peak, and Lion’s Head, it forms a huge natural amphitheater in which the Dutch settlers of the 17th century first established what would become Cape Town. With its flat top well over a thousand meters above sea level, Table Mountain is often obscured by clouds from ground level. But you can take the famous cable car up to the top. The world’s most exciting town square, Djemaa el Fna reminds you that this in Africa. In the heart of the old city of Marrakech, snake-charmers, henna-painters, storytellers, date-sellers and orange juice vendors set up their stalls in the sleepy heat of the afternoon. As night falls, the vendors are joined by tribal drummers, dancers and mobile restaurateurs selling delicious grilled meats, bread and salad as the smoke rises above their stalls ’til past midnight. 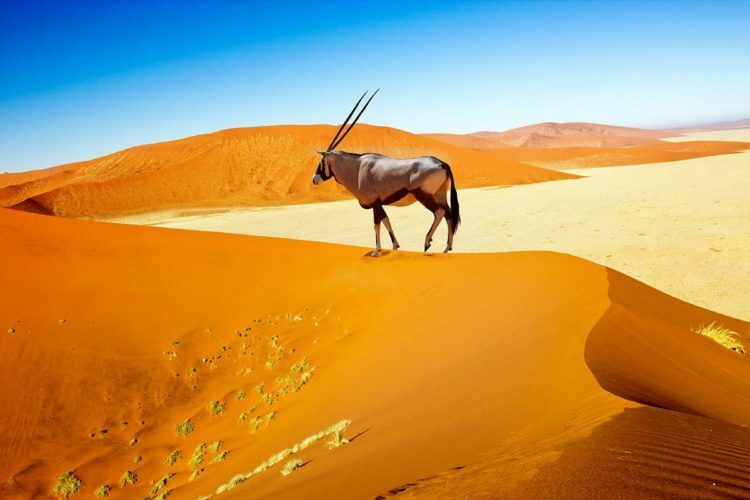 The highlight of any holiday in beautiful Namibia is visiting the magnificent areas of Sossusvlei and Deadvlei in the heart of the Namibia Desert. Sossusvlei means “the gathering place of water” which is an irony, because you will need a lot of water to survive this scorcher of a place, but without any doubt this is Namibia’s most outstanding attraction. 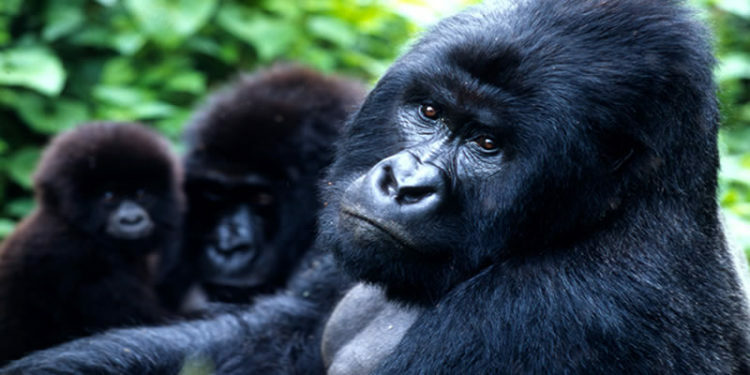 A point to note is that the mountain gorilla is highly social, and lives in relatively stable, cohesive groups held together by long-term bonds between adult males and females. It is a privilege to see these primates in their natural habitat. 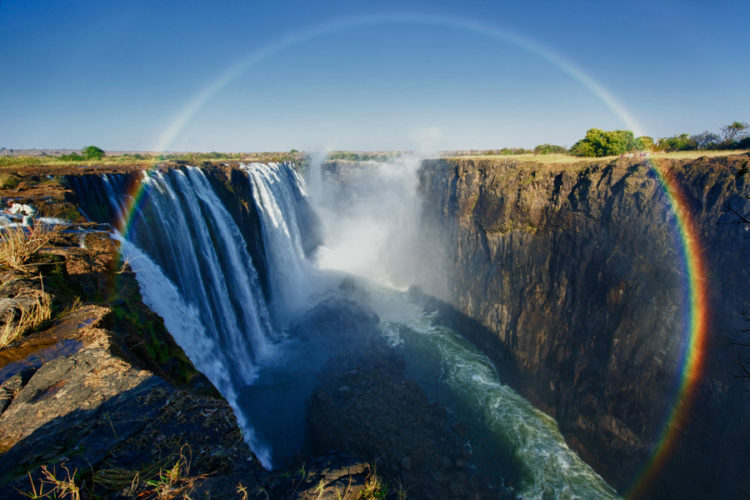 Victoria Falls (also called Mosi-oa-Tunya, or “The Cloud That Thunders) – is the only waterfall in the world with a length of more than a kilometer and a height of more than hundred meters. It is also considered to be the largest fall in the world. The noise of Victoria Falls can be heard from a distance of 40 kilometers, while the spray and mist from the falling water is rising to a height of over 400 meters and can be seen from a distance of 50 kilometers. No wonder that the local tribes used to call the waterfall Mosi-o-Tunya “The smoke that thunders”. Scottish missionary and famous explorer of Africa David Livingstone (1813-1873) named it after Queen Victoria. The Spitzkoppe is one of the most photographed mountain motifs of Namibia. This inselberg surmounts its surrounding by 700 metres with an overall height of 1728 m above sea level. 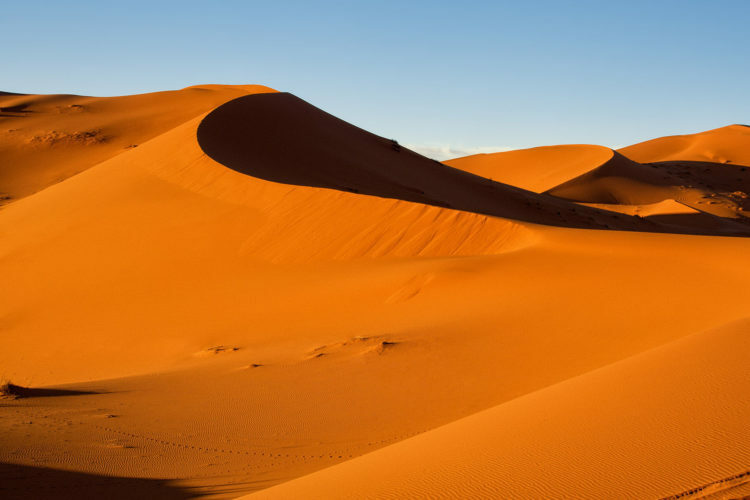 The Sahara is the world’s largest hot desert and one of the harshest environments on the planet. It is third largest desert overall after Antarctica and the Arctic, which are cold deserts. At 3.6 million square miles (9.4 million square kilometers), the Sahara, which is Arabic for “The Great Desert,” engulfs most of North Africa. The desert covers large sections of Algeria, Chad, Egypt, Libya, Mali, Mauritania, Morocco, Niger, Western Sahara, Sudan and Tunisia. For the Sahara Dunes, the most user-friendly part of the Sahara is accessible from the northern edge of Morocco. Nyika National Park is the largest national park in Malawi (actually located in northern Malawi), on the Zambian border. 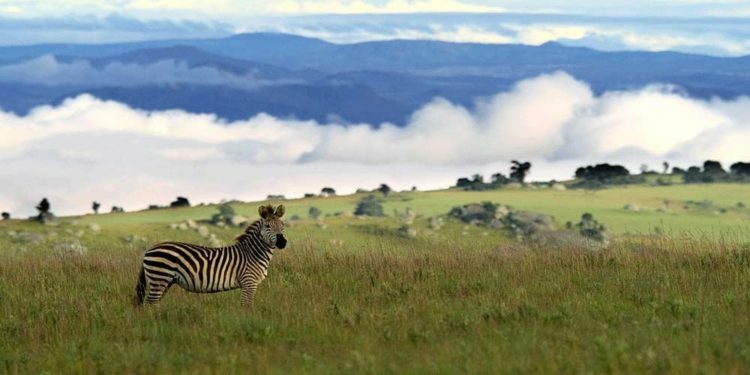 On the high-altitude Nyika Plateau, the park encompasses grassland and wooded valleys. Mountain-bike tracks and footpaths offer views of wildlife such as elephants, zebras, antelope, bushbucks and leopards. Rich birdlife includes rare species like wattled cranes and red-winged francolins. Seasonal orchids and other wildflowers dot the landscape. It is also unusual in Africa as it is cut by numerous rivers that reach Lake Malawi by way of waterfalls off the eastern edge of the mountains. Nice article! But where is Ghana tho?